Average fares are based on domestic itinerary fares, which consist of round-trip fares, unless the customer does not purchase a return trip. In that case, the one-way fare is included. One-way trips accounted for 36% of fares calculated for the final three months of 2016. The average unadjusted domestic one-way air fare was $241, while the average unadjusted round-trip air fare was $422. 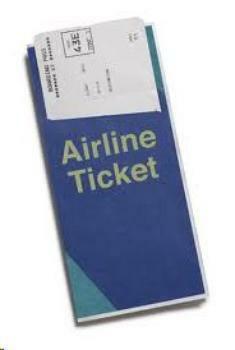 Fares are based on the total ticket value, which consists of the price charged by the airlines plus any additional taxes and fees levied by an outside entity at the time of purchase. In recent years, airlines have obtained additional revenue from fees charged to passengers, as well as from other sources. Passenger carriers based in the U.S. collected 74.7% of their total revenue from passenger fares during the third quarter of 2016, down 12.9% from 1995. The average inflation-adjusted fare of $349 for all of 2016 was down 8.5% from $382 in 2015 -- the lowest since 2009 and down 26.1% from the all-time annual high of $472 in 2000. When not adjusted for inflation, the 2016 average fare of $349 was up 12.5% from the post-recession low of $310 in 2009 but down 10.9% from the recent peak of $392 in 2014. The complete report is available on the BTS website.